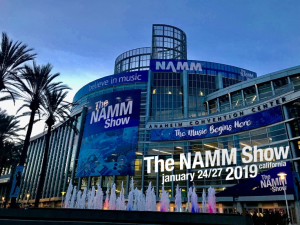 The NAMM show is always a whirlwind of seeing old friends, meeting new ones, salivating over new enticing products, avoiding the infamous ‘NAMMthrax’ (an exercise in futility for me this year, unfortunately) and participating in or witnessing epic jams at various booths. I’ve never done a personal report of the show and as a Hammond Artist manning the booth for hours it’s often hard for me to get out and about among the other manufacturers as much as I’d like. But I did get to see some cool stuff and my friends at BookerLAB asked me to list my Top 5 products, so here we go! 5) The DAVE SMITH / SEQUENTIAL SYNTHESIZERS Prophet X. Sequential had a muted presence at this year’s NAMM, forgoing the customary large booth on the show floor in favor of a small room towards the front of the convention center. It was off the beaten path but that turn of phrase is an apt description of the Prophet X itself, of which there were two in the room, including the new Prophet XL. When I entered, Dave Smith was explaining the XL to a pair of fellow synth enthusiasts, so I got a free hands-on demonstration from the man himself. It would be easy to write a novella about the capabilities of the Prophet X but instead I’ll keep it short and just say that it is a sound designer’s dream and I’m thankful that Mr. Smith continues to push the boundaries of what synthesizers can do even before musicians realize that’s what we want them to do. It is a worthy successor to the Prophet lineage, combining state of the art analog synthesis with meticulously recorded, beautifully crafted samples by 8dio, all packaged with Smith’s trademark intelligence and class. This is a musician’s instrument, not just a synthesizer. But the slightly goofy name belies a very capable and fantastic sounding software synth that first released to acclaim in 2012. In the years since, numerous updates have kept the synth feature laden. The gentleman at the booth was kind enough to show me around the impressive interface.The GUI and layout, reminiscent of my beloved Alchemy, was one thing but the sound is what truly captured my attention. I really don’t need another soft-synth but I have this one on my short-list anyway because of the quality of the sound and the quality of the 1800 presets. Expansion packs are available for a very reasonable fee as well. Virtual analog, wavetable, additive, FM and PM, and even vector synthesis are all represented. It is an extremely powerful and best of all affordable soft-synth that is well worth your consideration. 3) Radial KL-8. The KL-8 is the big brother to the Key Largo, a piece of gear that literally changed my life. Well, my performing life anyway. The bane of every touring keyboardist is ‘the sound guy / gal du jour’. You just never know what you’re going to get when you hit the road and don’t have the budget for your own sound person. Many are very good but many are also really bad. I could regale my fellow musicians for hours with my tales of poor sound guys that have never seen a real Leslie before. The Key Largo allows me to have separate control over my own monitor feed from my keyboards while sending the front of house a clean, isolated feed of their own. So simple and yet so brilliant. 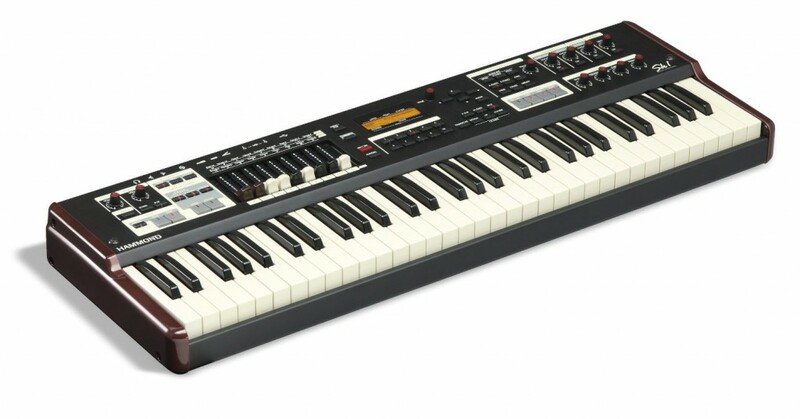 The KL-8, like the Key Largo, is a mixer / DI specifically designed for the needs of keyboardists. Four stereo inputs each with ON/OFF buttons and CUE buttons for silent monitoring (“Is this the right patch? Oh, yep… whew!”), balanced monitor outputs with ground lift, balanced isolated main outputs with ground lift, stereo auxiliary inputs and outputs, dual headphone outputs, signal indicator LEDs per channel, and you can link multiple KL-8 units together for more inputs. Oh and it acts as an audio interface to your computer / laptop with two separate USB connections for redundancy. MIDI in and out on standard DIN connections, footswitch remote capability for switching channels, etc. etc. The list just goes on. And all housed in a 1RU metal enclosure built like a tank, with robust, high quality jacks, switches, and knobs, which is the Radial way. My only negative with the KL-8 is that they didn’t add a panning knob and a mono switch to the input channels. But the main and monitor outputs can be set to mono independently of each other, which is handy. 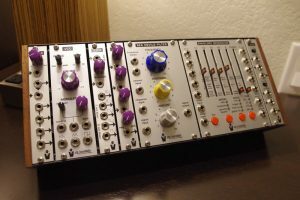 2) STG Soundlabs Radiophonic One modular synth. For those that prefer their analog synthesis real, monophonic, and in modular form, the synthesizer iconoclast Suit & Tie Guy has introduced his first oscillator module, called the .VCO, which forms the basis of the new Radiophonic One package. The oscillator’s features are the kind of features one expects when an instrument is designed not by an electronics engineer but by a musician. For example, the oscillator range knob has twice the throw around the root, fifth, and octave than the other intervals, because those intervals are the most used when building patches. Smart. Other features include a range knob with a wide function, allowing you to sweep through the entire range of the oscillator with the detune knob, and a drift knob, which the website describes as “drunken walk, or perhaps a random wobbulator”, affecting the pitch of the oscillator in random ways. With the addition of the .VCO oscillator, STG Soundlabs has the modules to offer a fully functional synthesizer, which is what they’ve done with the Radiophonic One. High quality boutique analog goodness is now in a bite-sized package with all the necessary ingredients present to cook up your own sound recipes. I spent several booth visits with both Suit & Tie Guy and his partner as they demonstrated the features of the Radiophonic One and the range and variety of textures and sounds you can coax out of the synth is awe-inspiring. It’s the perfect synth for those wanting to get into real analog synthesis or the veteran looking for something new and inspiring. 1) Hammond Leslie 142 re-issue. This was a total surprise to almost everyone at the Hammond booth but what a welcome surprise it was! Hammond Japan brought the prototype for a new Leslie to the NAMM show and it made a huge splash among the Hammond Artists like myself. The specifics are still a mystery, such as price, availability, etc. because the prototype was in a very early stage. But what we do know is that it is the same cabinet size as the vintage 142 and it has a newly designed tube amplifier centered around a pair of 6550 power tubes as well as a 12AU7 and a 12BH7 compliment for the preamp section. The motor control is from the 3300 series, so it has STOP / CHORALE / TREMOLO speeds via the 11pin Leslie connector. The horn itself is an alnico driver and there are some other secrets in there that I cannot divulge. But let me just say that the tone is gorgeously vintage. As a prototype, there’s no information on the Hammond website. But here’s a quick video I did at NAMM, playing the Hammond XK5 through the Leslie. HONORABLE MENTION – Lounsberry Tall Fat & Wide. I had to include this pedal on the list because even though I’ve had one since October of 2018 and it isn’t really new to me, the more I mess with it, the more I love it. And Lounsberry had a really cool booth this year right next to the Mellotron Booth and some of the small, independent analog synth makers. This isn’t just a pedal for organ, folks. Using it on analog synths is revelatory. Even better, using it to ‘warm up’ digital synths is transcendent. I’ll be making more videos soon detailing these uses but in the meantime, check it out on a Moog Voyager. 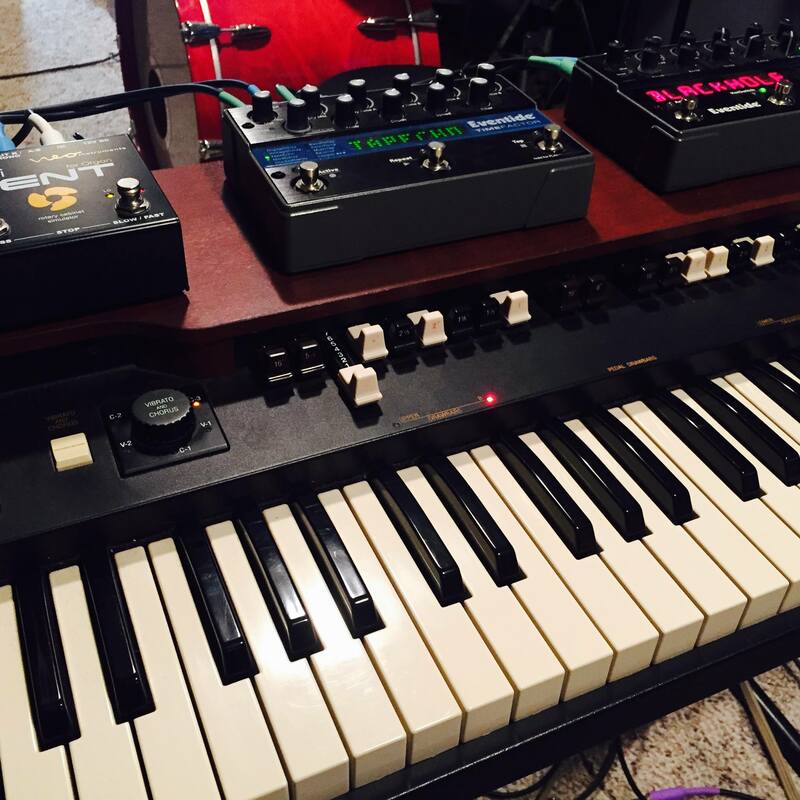 The Voyager doesn’t have a built-in overdrive circuit, as many analog synths these days do. Instead, users often take the headphone output and route it into the filter input jack, and that can be a really cool sound (the lead on Game of Ouroborus from my progressive rock project THEO’s album of the same name is a result of that technique). But oftentimes the overdrive from that method is unwieldy and exaggerated in terms of the frequency response. The Tall Fat & Wide, by contrast, is much more even across the spectrum and the range of saturation you can coax out of it is far greater. Beyond all the gear, the best part of NAMM is seeing re-connecting with friends. I’m looking forward to next year and more good times! It’s hard to keep this site updated especially since the last few months have been a whirlwind of activity, for which I am incredibly grateful. The summer brought shows in Texas, Iowa, Kansas, Missouri, Nebraska, Chicago, Quebec, and Ontario with Laura Rain & The Caesars as well as the Ottawa Blues Festival with Thornetta Davis. organissimo played several festivals in Michigan including the unCaged Festival in Northport and the Shoreline Jazz Festival in Muskegon. We also released and new CD in September called Live At The SpeakEZ (that’s two new organissimo CDs in 2017). This fall I was in Belgium for a few short days for two shows with Big Apple Blues and we’re finishing up a new record with that group as well. 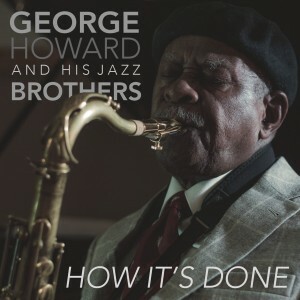 And I did a handful of other recording, mixing and mastering sessions as well. On the gear front, I am proud to announce an endorsement with Kurzweil Music Systems and Weisersound. I am using a Kurzweil Forte 7 on stage and in the studio and I absolutely love it. It is an extremely beautiful keyboard, built like a tank, with an easy to use interface, great sounds, lots of room for your own sounds and samples, and more. Here are a couple of demo videos I made, the second one featuring THEO drummer Kevin DePree. Contact David Weiser at Weisersound for your Forte and get VIP support, free custom patches, and the best customer service on the planet. He’s a personal friend and a great person. 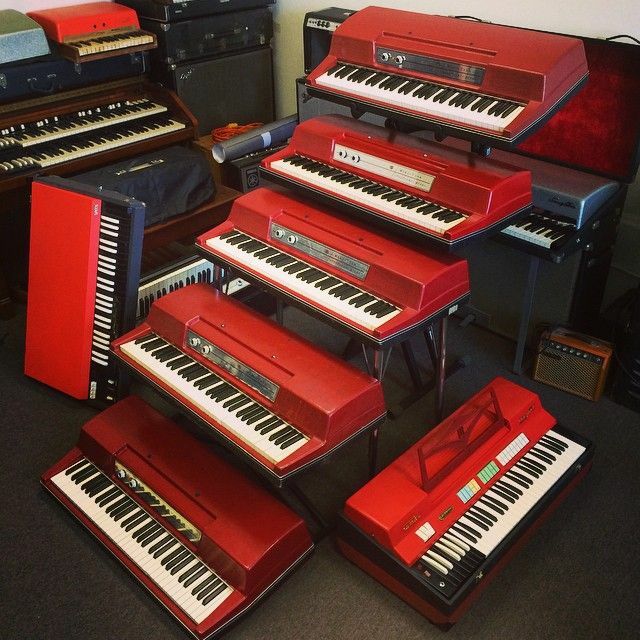 Also, I am now the proud owner of the new flagship from Hammond Organ USA, the Hammond XK5. I will be with Hammond in their booth at the 2018 Winter NAMM show in January demonstrating the XK5 and all it can do. I plan on making a custom tonewheel set for it, as I’ve done with previous Hammond models. And expect some video demos as well in the near future. Here’s a brief live-stream I did on Facebook on the day I received the XK5 last week. The sound quality of FB live-streams isn’t so great, but you can get a feel of how it sounds. That’s the internal digital Leslie simulator, by the way. 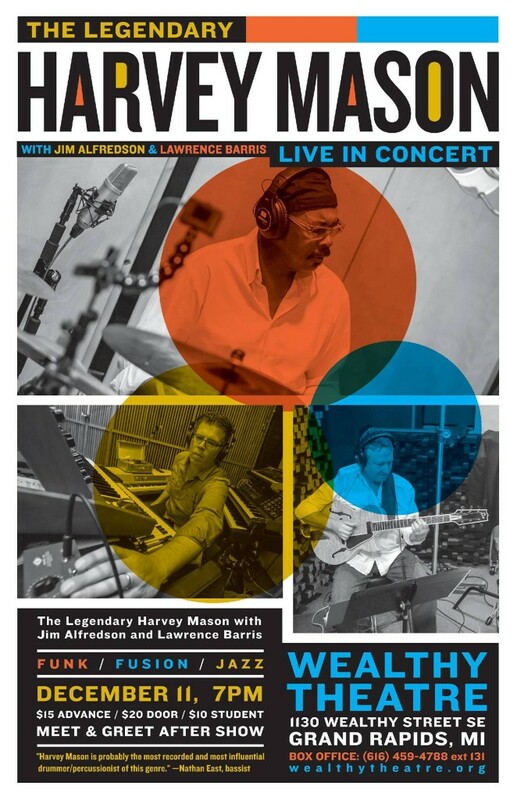 This winter I will be heading to NYC for some recording sessions but mostly staying in Michigan, working on the upcoming sophomore THEO album, another Jim Alfredson’s Dirty Fingers album, and the album that Lawrence Barris and I did with the legendary drummer Harvey Mason (Herbie Hancock, Bob James, George Benson, etc). Speaking of Mr. Mason, we are performing with him on December 11th at the Wealthy Theatre in Grand Rapids, MI. My event calendar is updated through December so you can see where I’ll be if you want to make a show. Happy Holidays and be safe this season! Yesterday I posted a video demo of the Mini Vent II using the venerable Hammond XK3 as the sound source. Today I connected the Mini Vent II to my 1954 Hammond C2. The output of the Hammond C2 was connected to a small Yamaha mixer via a custom made direct box that converts the raw output from the C2’s preamp to a mic level signal. This mixer then fed the mono input of the Mini Vent II. The stereo output of the Mini Vent II was then fed into my DAW (Cubase 9) via a Yamaha N12 digital mixer. I added a bit of room reverb from the Valhalla Room Reverb just so the Mini Vent II didn’t sound so dry. A real Leslie in a room, after all, would have some ambiance in the sound. Neo Instruments has updated the original Mini Vent for Organ and Mini Vent for Guitar with a single new pedal called the Mini Vent II. It features an expanded parameter set and improved preset functions. Check out my demo and overview of the features in the video below. You can download the mini Vent II MANUAL which describes how to edit the parameters. One of my favorite new parameters is the ability to change the function of the physical footswitches on the unit. For example, the default from the factory is that the left footswitch is BYPASS, the right footswitch changes between SLOW and FAST and pressing both gives you the STOP or Leslie brake. But you can change those functions so that the left footswitch controls STOP, which is awesome for jazz organists like myself. Much more in the video including sound demos. 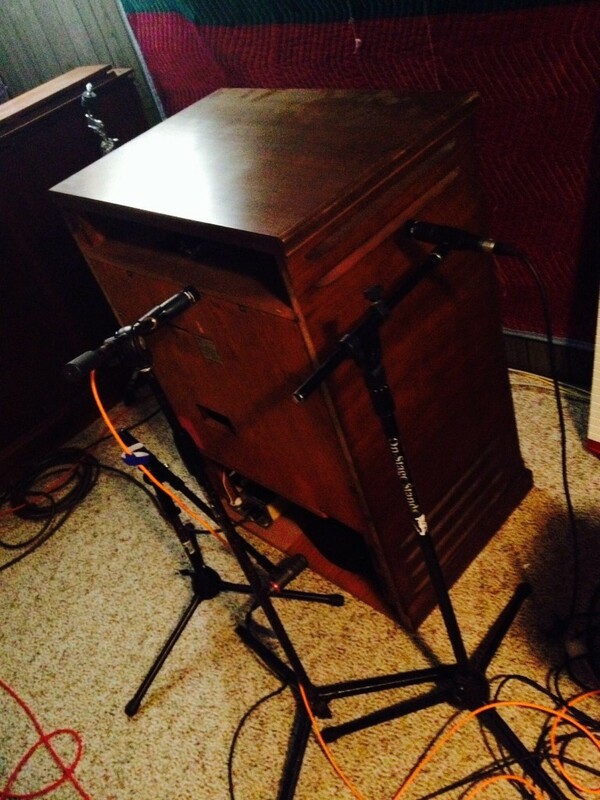 I’ll produce more demos in the coming days including the Mini Vent II on a Hammond console organ. 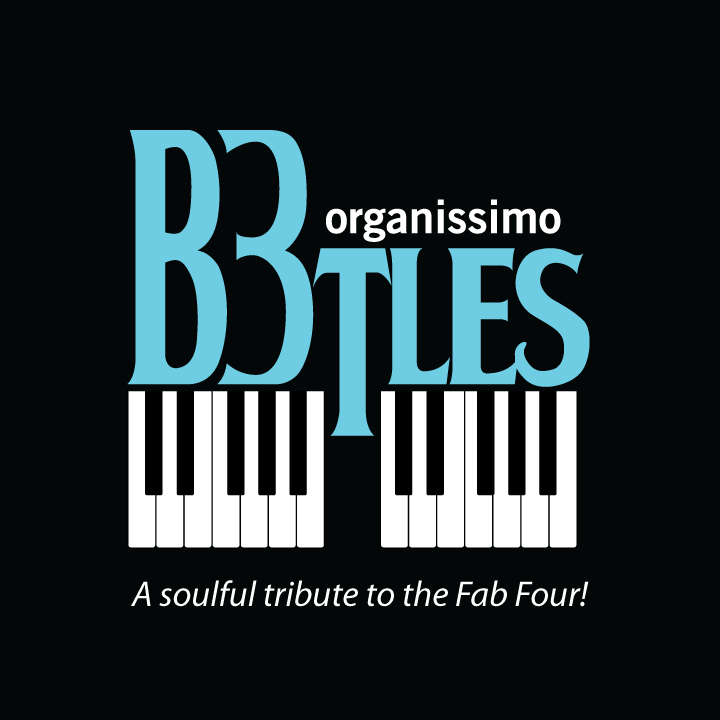 I’m excited to announce that the new album from my jazz trio organissimo entitled “B3tles – A Soulful Tribute to the Fab Four” is now available for pre-order via PledgeMusic. 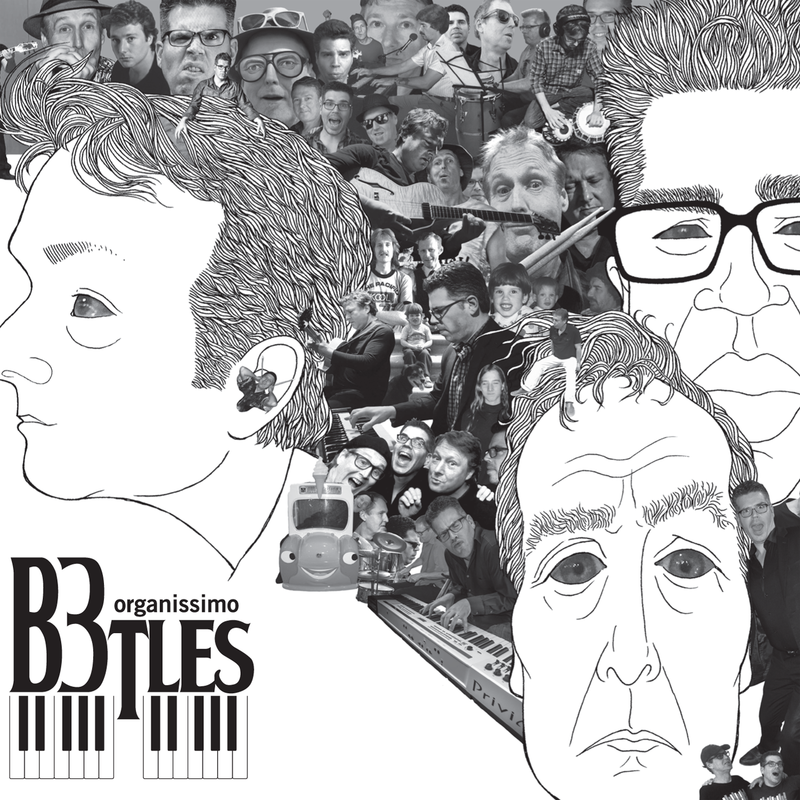 This is our homage to one of the greatest bands ever, The Beatles, and the timeless tunes they wrote. 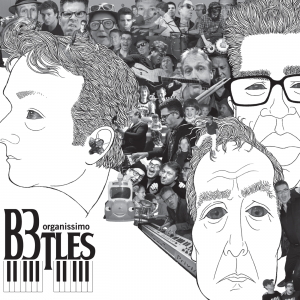 I hope that you’ll consider helping us bring this project to fruition by participating in our PledgeMusic campign. You can do so by clicking here. (I think that button is big enough.) Just $10 will get you the AccessPass which includes a download of the album in mp3 or uncompressed FLAC format and exclusive access to updates, bonus material, etc. We also have physical CDs, live bonus material, t-shirts, lessons, hangs, an exclusive invite-only release party, and more. You can watch my goofy invitation to participate below. 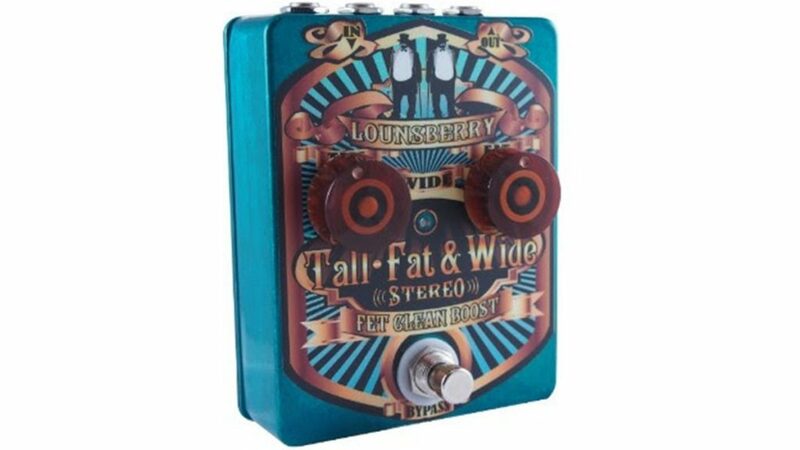 In other news, I’m very proud to announce that I am now endorsed by Lounsberry Pedals. 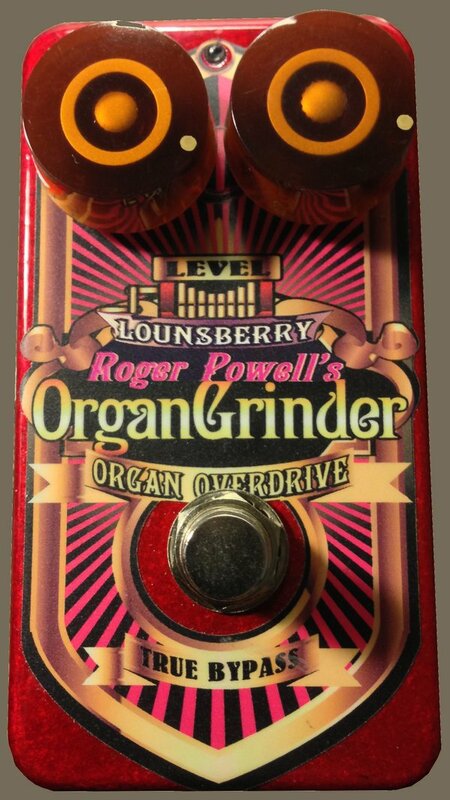 Lounsberry Pedals make effects pedals especially for keyboardists including the WurlyGrinder to warm up those digital electric piano emulations and the OrganGrinder to smooth out those clonewheel tones. In fact, I’m offering signed editions of both pedals as part of the PledgeMusic campaign for organissimo’s B3tles album. But supplies are very limited. 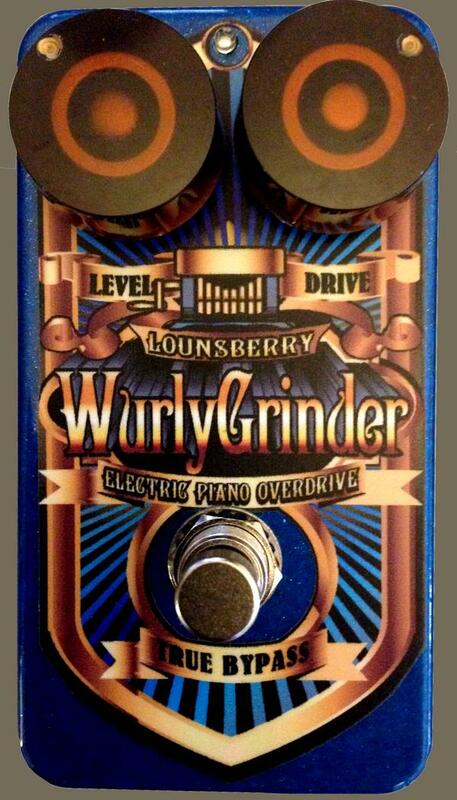 Check out my review of the WurlyGrinder HERE and the OrganGrinder HERE. Thank you for your continued support and I’ll see you on the road! The fundamental purpose of any speaker is to convert electricity into acoustic energy. As with any piece of technology, how well a speaker performs this function varies widely between in implementation. Good speakers provide a pleasing, full-range sound, a stable soundstage, and no noticeable bumps in the frequency response. Great speakers simply disappear. Long-time readers of my blog might remember my glowing review of the JBL LSR305 active monitor speakers. I’ve been using those speakers now for two years. Actually, I upgraded my mains to the bigger LSR308 speakers last summer. I’ve mixed a lot of music on them and still enjoy them. They are great speakers for the money. But what about some other, more expensive options? A more expensive monitoring system should be an order of magnitude better, right? Do you still get what you pay for? At the 2016 Summer NAMM I was fortunate to receive a personal demo of the Amphion monitor speaker range from my friend and human Jack Russell terrier Dave Bryce. It’s always difficult to determine how speakers sound on a convention floor, but I had my first encounter with the JBLs in a similar circumstance at the AES show in 2013 and came away impressed. Likewise, I kept returning to the Amphion booth, multiple times a day, to experience the Amphion speakers again. Dave was as excited to show them to me the fifth, sixth, and seventh time as he was the first time. He even played a cut off my THEO album. That’s what I call a personal touch! 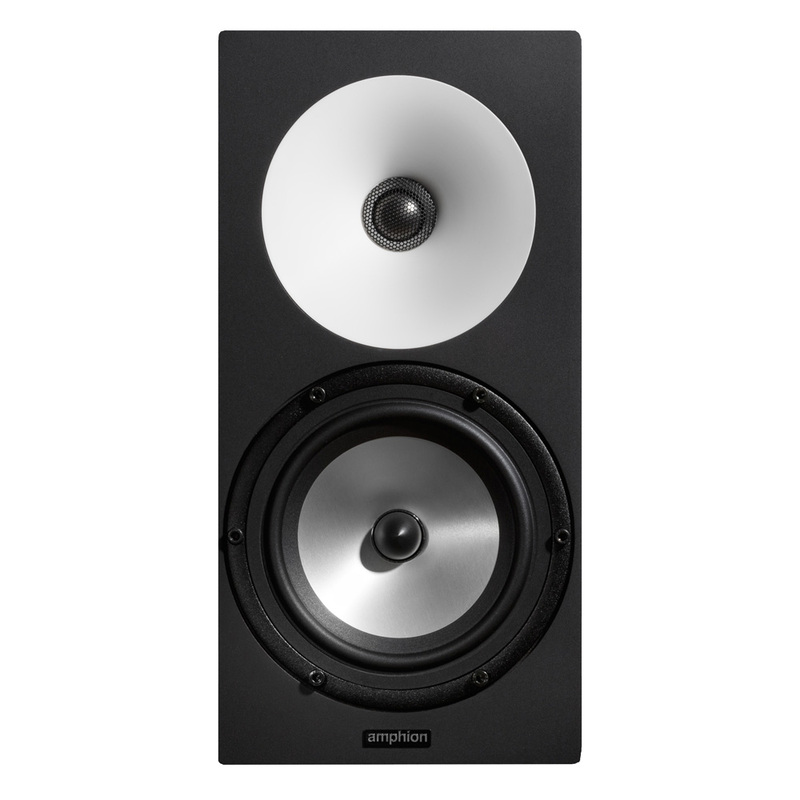 Last week I received an email from Dave offering to route a pair of demo Amphion One18 speakers to my home studio. I gladly accepted. They arrived in a cool wooden mini-crate along with the matching Amphion Amp100 amplifier and cables in another box. I set them up next to my JBLs and did some quick comparison listening. First impression: What have I gotten myself into? Amphion is a Finnish company formed in 1998. 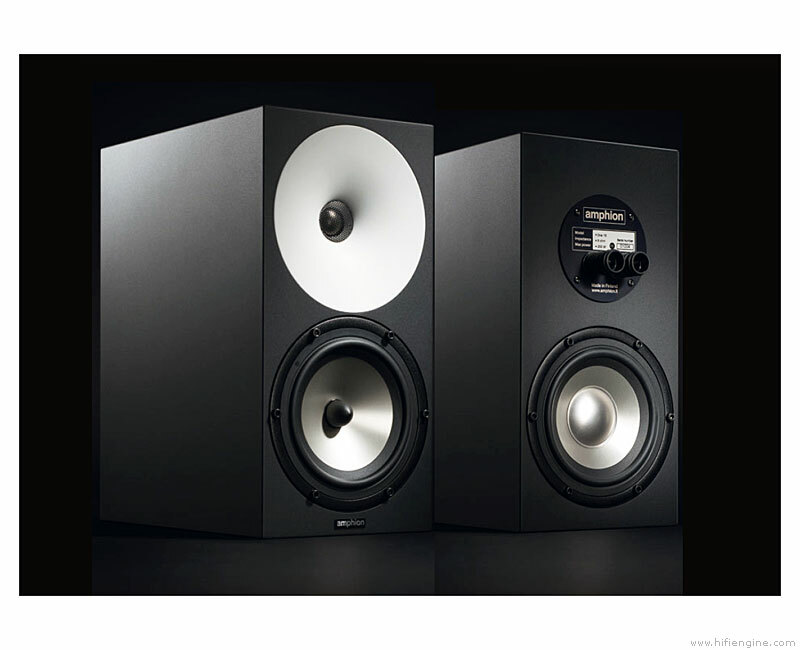 The company offers a full line of home speakers and studio monitors as well as amplifiers, hand-built in Finland. Yes, their studio monitors are passive, which is kind of a rarity these days. They have five models. This review will focus on the middle of the range, the One18. The model One18 use a custom designed 6.5” woofer and a fast-response titanium tweeter set in what the company calls a “high-density Corian waveguide”. The look is spartan yet beautiful, with the white waveguide making a memorable impression. Two speaker terminals join the passive radiator on the back. The cabinets are sealed; no ports. The Amp100 is similarly clean and simple. The front panel is adorned only by the Amphion name and a chrome power button that has a soft blue LED ring around it when powered on. The back has the left and right speaker outputs, the IEC power connector, and the left and right XLR inputs. That’s it. The included speaker wires terminate in banana plugs and are a high-quality twisted pair in black. I only wish they were a bit longer. The frequency response of the speakers is 45Hz to 20,000kHz +/- 3db. 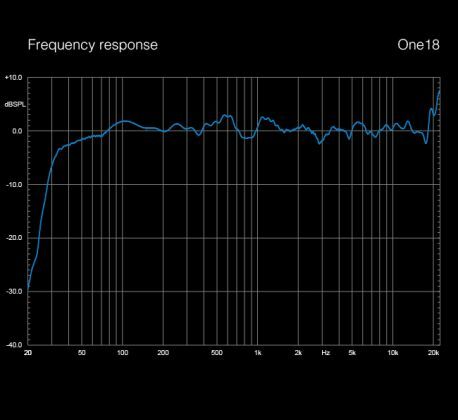 The frequency plot on the Amphion website shows a little bump at 100Hz, another at 600Hz, a dip at 800Hz, another bump at 1.2kHz, and quite a bump above 20kHz. 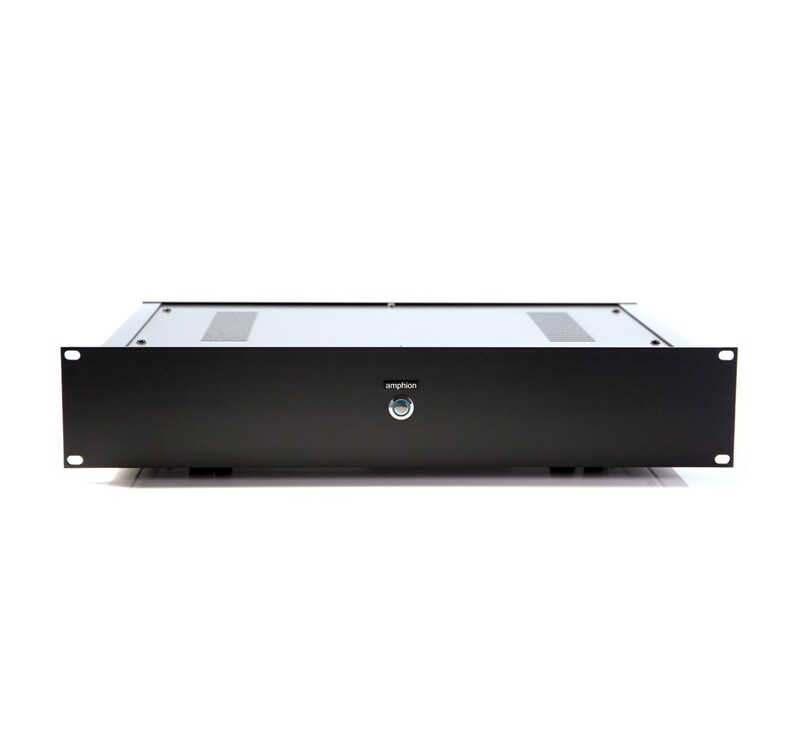 The suggested amplifier power to drive the 8 ohm speakers is 30 to 150 watts. The specs on the amp are not on the website but as the name implies it delivers 100 watts into 8 ohms. The set-up is very straight forward. 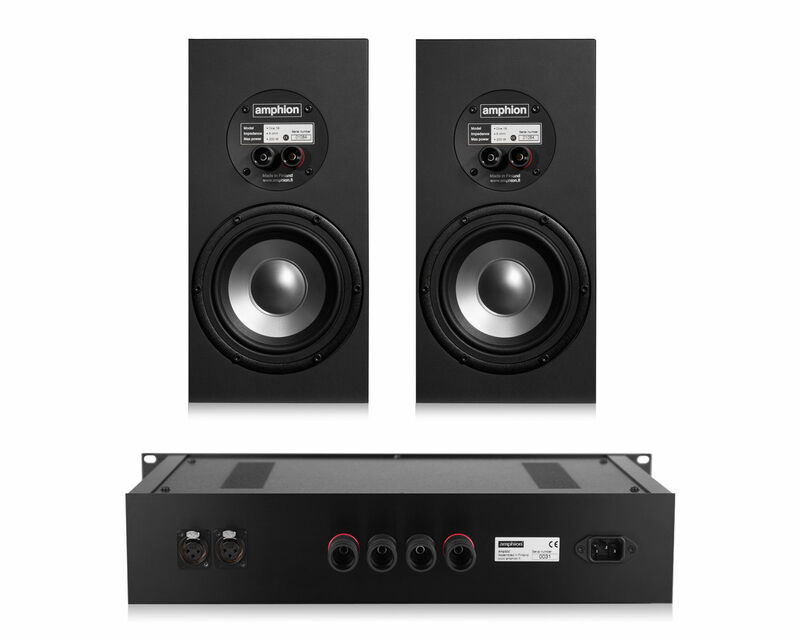 Connect your stereo outputs to the XLR inputs on the amp and the speaker outputs on the amp to the speakers themselves. Easy. I began my listening comparisons with some pre-recorded music from my collection, specifically Dr. Lonnie Smith’s 2009 release Rise Up! and a 2015 release from the Polish progressive rock band Riverside entitled Love, Fear, and the Time Machine. I started with the JBLs. They sounded great; clear and clean. I’ve been using them for two years, so I know what to expect. Then I switched to the Amphions. The mid-range is tight and focused and much more ‘real’. It’s like you can peer right into it. The high-end is airy and not harsh. I could listen to these speakers for hours without fatigue. The imaging is sharp and defined with pinpoint accuracy and depth. The music seems to just float in space. In other words, the speakers disappeared. Switching back to the JBLs, I experienced what I can only describe as an exaggeration. It’s almost like when you switch the ‘loudness’ button on your old receiver. By that I mean that it isn’t ‘bad’, but it’s not ‘real’ either. It’s affected. For example, the mid-range on the JBLs sounds ‘better’ at first because it is more forward, more ‘in your face’. Switching to the Amphions, the mid-range seems initially a bit more ‘hollow’ but then you realize it’s actually more natural. The saxophone on Dr. Lonnie’s Rise Up sounded like it was in the room with me. Dr. Lonnie’s organ was purring right there, too, so close I could almost see the Leslie spinning. And the vocals on the Riverside album were right in front of me; it was like he was singing directly to me. Next I decided to load up the new organissimo album I am mixing. I’ve been having some problems getting the organ tone where I want it. What sounds good to me in the studio doesn’t necessarily translate to the car or other systems. Listening on the Amphions, I immediately heard the problem area; a honk-ish resonance in the low mid-range, easily fixed by a gentle EQ dip on the upper Leslie rotor microphones. But I could never hear it so directly on the JBLs. I also instantly heard some imaging issues with the drums, solved quickly by adjusting the panning of the toms. I also heard that I needed some more air in the cymbals. And finally, due to the Amphion’s stunning mid-range reproduction, I could hear that I needed to bring the level of the guitar up overall. These are things that were somehow being masked on the JBLs. What impressed me the most is the imaging; the JBLs are far better in terms of their imaging than the speakers they replaced (the lowly Mackie HR824) but the high-end is still a bit nebulous. Not so on the Amphions; the stereo image is precise all throughout the frequency range. The JBL LSR308 definitely have a deeper bass than the Amphion One18. I augmented this by connecting the JBL LSR310S subwoofer to the Amphions. Switching back and forth between the two pairs of speakers was now much more balanced, which made for a better comparison. The JBL LSR310S actually matches with the Amphions very well and rounds out the bottom. So do you get what you pay for? Well, the JBLs are still the best value in a monitor speaker for under $1000 a pair (way under, actually). A pair of JBL LSR308 speakers is only $500. The smaller JBL LSR305 speakers are even less at $300 a pair. The Amphion system I am reviewing retails for $4300 ($3000 for the speakers and $1300 for the amp). That’s almost ten times the cost of the LSR308. Is the quality ten times better? That of course is very subjective, but for me the answer is a resounding yes. The high-end clarity, the mid-range focus and precision, and the imaging are definitely worth the money. It’s a shame there isn’t a bit more low-end response; a good sub is needed, further adding to the cost if you don’t already own one. But even so, the verdict is unanimous: Yes, you do get what you pay for. Now if only I can figure out a way to pay for these Amphions! 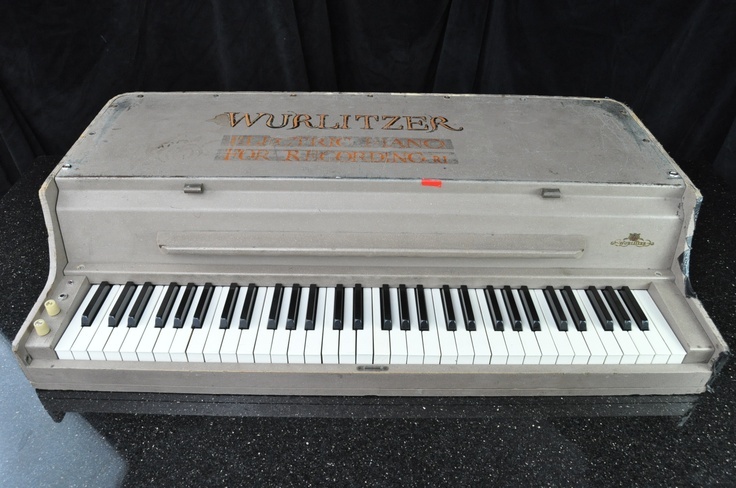 As a child growing up in the 80s, I was unfamiliar with the sound of the Wurlitzer electric piano until my late teens. 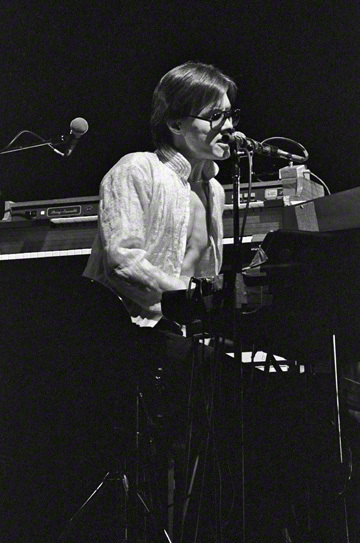 Radio at the time was inundated with the now maligned DX7 electric piano sound. 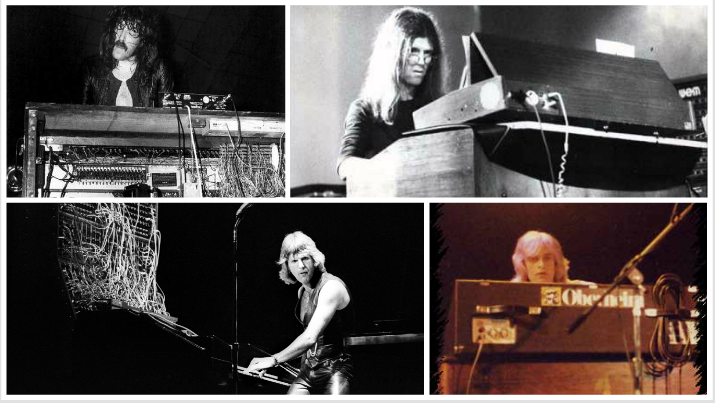 I knew how a Rhodes sounded because my dad had one of the space-age looking green student models for awhile. But I really didn’t know what a Wurlitzer electric piano was nor did I know what it sounded like until I dug into the early Ray Charles catalog as a 17 year old. It just so happened that the Wurlitzer began making a bit of a comeback about that same time thanks to Beck’s song Loser and Sheryl Crow’s All I Wanna Do topping the charts. Over the next few years, the Wurlitzer started popping up everywhere. Now it’s fairly common in all kinds of music. My (now sold) converted 206a, painted red. 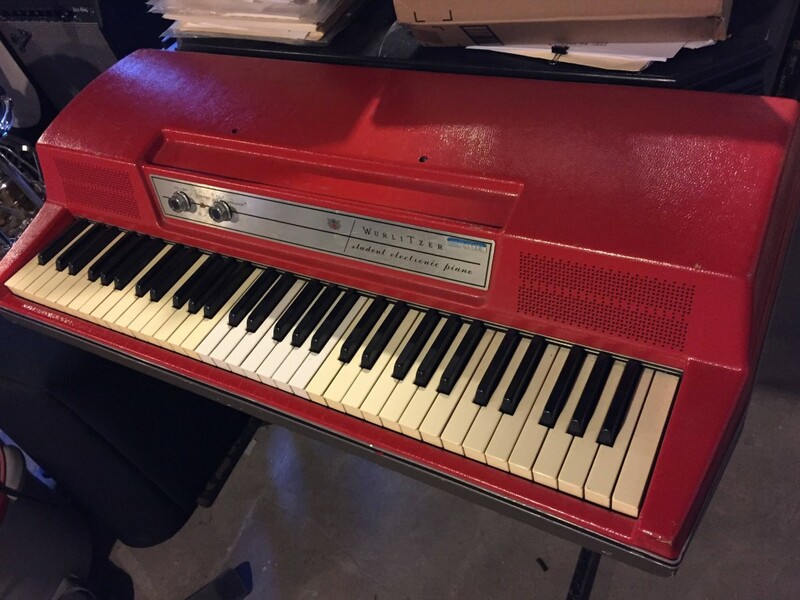 I was gifted my first Wurlitzer, a student model 206A, from a friend who lifted it from his college. 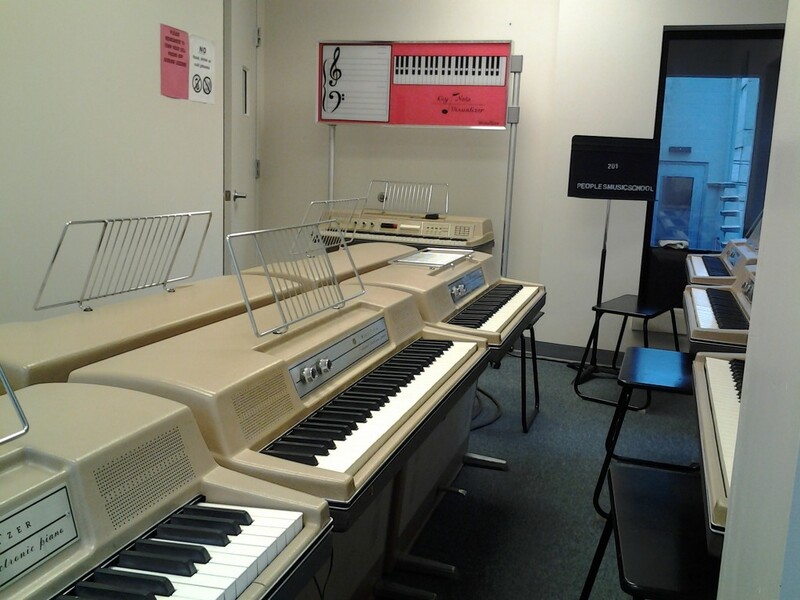 Colleges across the country used Wurlitzer student models as teaching tools in music labs. Up to 48 pianos could be linked together, each student able to hear him/herself via headphones. The teacher had the ability to listen to each student via a master console. Bill Fuller, a former Wurlitzer employee, was quoted as saying that up to 75% of American universities had Wurlitzer piano labs in the late 60s and early 70s. And in the mid 1990s, those universities started getting rid of them. My friend’s college was no exception. After asking his piano professor to buy one of the many recently decommissioned 206A’s just cluttering up an alcove at the performance chapel on campus, one night he and his roommates decided to snag one and hauled it back to their dorm across campus. Just a week later, the rest were hauled away in a dump truck. He gifted the Wurli to me. I removed the base, painted it red, and gigged with it for years. I used it on numerous recordings and even added tremolo to it. I very recently sold it because I have another student model in original condition. It served me very well. The modern ubiquity of the Wurlitzer electric piano sound means that a lot of digital keyboards and synthesizers include their own take on it. But what many of them lack is that preamp grunge of the real thing. When I toured with Janiva Magness, I used a Yamaha Motif ES rack for my Wurlitzer sound for many years. I tried a lot of different pedals for it, trying to add some funk and grunge, but nothing really satisfied me. I couldn’t find anything specifically for keyboards. That’s where the Wurly Grinder from Lounsberry Pedals comes in. It is designed for the full frequency range of keyboards and can be used to fatten up a real Wurlitzer or Rhodes. But it really shines adding life and character to electric piano emulations, like those found in so many modern keyboards. Based on the same topography as the Organ Grinder (see my review here), the Wurly Grinder is has more gain, which allows you to use it with passive instruments like Rhodes stage pianos, and according to Greg Lounsberry the low end response is slightly modified to augment the specific frequency range and tonal characteristics of electric pianos. Like the Organ Grinder, the Wurly Grinder is a standard sized pedal with ¼” input and output jacks on the back (a sure sign this was designed with keyboardists in mind) and a 9volt DC adapter connector on the left side. It is housed in a beautiful powder-coated royal blue sparkle chassis with two Gold Speed knobs, one for LEVEL and the other DRIVE. The front panel graphics are designed by steampunk artist Mark Hershberger and look really cool. A blue LED between the knobs lets you know when the pedal is active and like all Lounsberry pedals it features true bypass. The pedal is nice to look at, well-crafted, and really solid. The Wurly Grinder was designed to impart a tube-like quality to any Wurlitzer emulation as well as make a solid state 200 series Wurli sound like an old 100 series tube Wurli. Want your clean Suitcase Rhodes to sound like a barky Stage model? It can do that, too. Hand matched FET transistors and germanium diodes do the work and the circuit inside is smartly organized and very cleanly wired. The sound is very much like the Organ Grinder but with a more defined edge. You can play intervals other than fifths and still get good definition. The low-end seems a bit tighter to me, more focused, which is good for electric piano as they can be a bit muddy down there. It can go from a gentle fuzz to full on distortion but the range is controlled and very useable. It helps the most on the Wurlitzer sounds in my Hammond SK1, adding life and color to the stock patch and smoothing out the inherent harshness in the samples. It sounds really great on my custom Wurli Cruzr patch on the Privia PX5s as well. Tweaking the amp simulations within the PX5s get me close, but I feel like the Wurly Grinder adds that next level of realism to the sound. I think any sampled or modeled emulation of a Wurlitzer or Rhodes would benefit from a bit of Wurly Grinder. If you have the Organ Grinder already, do you need the Wurly Grinder? Well, if you’re going to use a passive instrument like a Rhodes Stage, then definitely. If you want a bit more definition from your EP samples, then certainly. Or if you’re like me you just like pedals and the cool things they can do, then why not? I’ve read that a lot of people also like the Wurly Grinder on guitar. Try one today and see if it adds that extra something to your electric piano sounds. Or try it on a virtual analog synth to add some girth and fat to the tone. It’s a very versatile pedal. I’m certainly keeping mine. Thanks for reading and you can hear the Wurly Grinder in action by watching the video below.